In this article, we will learn how to handle exception for RESTful Web Services developed using Spring Boot. We can handle exceptions in REST API in the same way we handle them in the SpringMVC based web application—by using the @ExceptionHandler and @ControllerAdvice annotations. Instead of rendering a view, you can return ResponseEntity with the appropriate HTTP status code and exception details. By default, Spring Boot provides a /error mapping that handles all errors in a sensible way, and it is registered as a “global” error page in the servlet container. Rest clients, it produces a JSON response with details of the error, the HTTP status, and the exception message. Instead of simply throwing an exception with the HTTP status code, it is better to provide more details about the issue, such as the error code, message, cause, etc. In this example, we define a class annotated with @ControllerAdvice to customize the JSON document to return for a particular controller and/or exception type. Let's develop a CRUD REST APIs for Employee resource using Spring Boot 2+, JPA, Hibernate 5+, MySQL database and we will look into exception handling for these REST services. We will develop a simple Spring Boot RESTful CRUD APIs for Employee resource and we will implement Exception(Error) Handling for these RESTful Services. Refer below pom.xml for your reference. So far we have developer CRUD RESTful APIs for Employee resource. Now we will look into how to handle exception or error for the above RESTFul APIs. 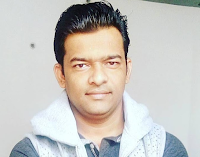 Spring Boot provides a good default implementation for exception handling for RESTful Services. Let’s quickly look at the default Exception Handling features provided by Spring Boot. Let’s see what Spring Boot does when an exception is thrown from a Resource. we can specify the Response Status for a specific exception along with the definition of the Exception with @ResponseStatus annotation. We are done with developing CRUD REST APIs and exception handling for REST APIs. Now it's time to run this Spring boot application. This spring boot application has an entry point Java class called Application.java with the public static void main(String args) method, which you can run to start the application. Note that in the above screenshot, we have done exception handling successfully with expected response from REST APIs.